A warehouse management system is an essential component of a company’s supply chain. It tracks products and raw materials while incorporating specialized equipment and computer software that allows full control of warehouse operations. A warehouse management system integrates these elements with all warehouse tasks, including receiving goods, inspections, acceptances, picking, packing, documentation, and shipping. An effective system will divide orders into batches according to their locations. The system will also log products at various points as they move through the warehouse. This allows staff to know where products need to be around the warehouse at any given time. What are the Benefits of the Warehouse Management System? A warehouse management system calculates the optimal location for each warehouse element, which ensures the efficient use of space and reduces waste. It also increases the efficiency of the staff which, in turn, results in a higher output volume and lower demand for labor. Quicker delivery times and less order accuracy errors mean that more customers are satisfied with their orders. Efficiency is beneficial for supplier relationships as well. If your warehouse can accept incoming orders without delay, it means that your suppliers can start working on their next shipments. A warehouse management system can allocate on-the-floor tasks in a way that is as efficient as possible ensuring that the warehouse staff can meet material handling requirements in less time. The system also coordinates the warehouse staff’s activities so that there is no duplication of labor. Warehouse management system software provides real-time data on inventory by making use of identifiers such as barcodes, serial numbers, and RFID tagging. Increased visibility makes it possible to create demand forecasts, which is necessary to determine which products are most popular during specific times of the year. What Are Some Warehouse Management Systems? ProVision is a high-end warehouse management system solution that is user-configurable to manage a wide range of warehouse operations and activities. This warehouse management system is popular among several reputable supply chain and logistics companies, including Brimich Logistics. Infoplus is the ideal warehouse management solution for small to mid-sized companies in a wide range of industries. This warehouse system is a web-based solution and features core inventory management, demand forecasting, and inventory optimization. Oracle is a cloud-based warehouse management system that is geared towards distribution manufacturing, inventory management, and fleet management. An additional feature of Infoplus is product development that companies can use to create a bill of material from a conceptual design. If you feel your business could benefit from the addition of a new or updated warehouse management system, contact Brimich Logistics today for a free no-obligation quote. HACCP stands for hazard analysis critical control point and is a management system that ensures food safety by analyzing and controlling biological, chemical, and physical hazards throughout the entire supply chain of a finished product. 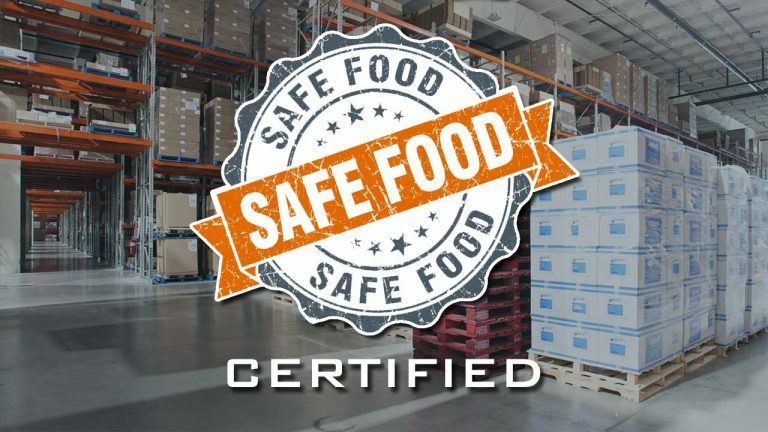 A HACCP certification demonstrates to your customers, stakeholders, and regulatory authorities that you are committed to safe food trading or production. HACCP compliance is also mandatory for participants in the food industry in several countries, including the United States. A HACCP certificate is also essential for a food business to be regarded as reputable and trade worthy. A company that is not HACCP certified runs a higher risk of making costly mistakes while carrying out their business activities. Businesses don’t always obtain HACCP certificates for the same reasons. It is a condition of trade that business in the food industry, for example, food sellers and food manufacturers have HACCP certifications. 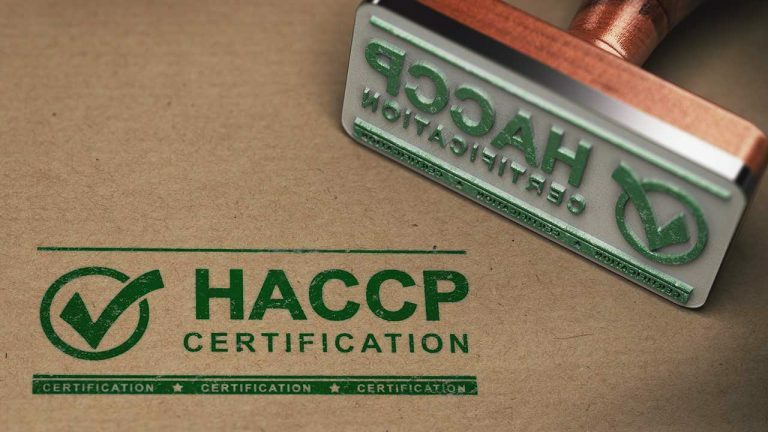 Although a HACCP certification is not a requirement for specific businesses or in some countries, many companies will make sure to have their certifications in place to mitigate risks and as a sound business practice. What are the Most Common Critical Control Points? A critical control point (CCP) is defined as a step at which biological, chemical or physical factors can be controlled. Critical control point examples of food purchasing include checking suppliers, menu creation, and managing packaged and frozen foods. This critical control point refers to temperature control, record keeping, and transferring food to storage after delivery. Food production critical control points concern food handling and preparation. Examples of food production essential points of control include allergen management, cooking, reheating, and thawing. There should be clean facilities to protect display food. The critical control requirements depend on whether the display is for hot, cold, or frozen food. Serving staff should also be adequately trained and furnished with clean equipment. Food storage critical control points are of the utmost importance to prevent cross-contamination, bacteria growth, and temperature fluctuations. Brimich Warehousing & Logistics provides storage solutions that are HACCP compliant. Contact us today for more information. 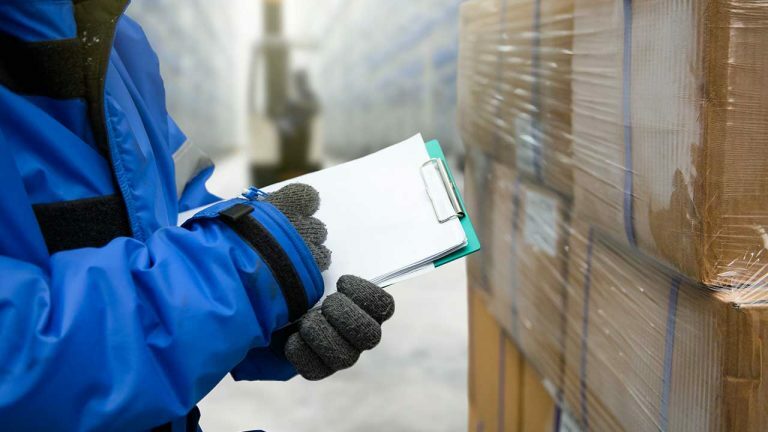 If ensuring your products or materials stay at a stable temperature is vital to their quality, cold storage solutions are likewise vital to your company’s success. However, not all cold storage solutions are created equally. What is Cold Storage Used For? Many products lose their value in normal storage conditions. These products require cold storage solutions for adequate storage and shipping. Since cold storage is much more complex than dry storage and refrigerated warehousing tends to be expensive, many businesses opt to outsource cold storage to supply chain specialists. If you are moving products that are temperature sensitive, you need cold storage solutions that include processing, packaging, and delivery without the products ever being exposed to fluctuations in temperature. What is Cold Storage in Food Preservation? Due to the nature of certain food products, they can spoil if they are exposed to high temperatures. Not only can this result in losses, but also health hazards. Cold storage for food preservation is, therefore, an essential component of the supply chain of food businesses. Perishable foods, including dairy products, fish products, and meats have to be kept in a temperature specification range along the entire supply chain. Temperatures higher than the required range can result in the growth of pathogens and spoilage microorganisms and can, ultimately, cause the product to be inedible. Since the consequences of food spoilage can potentially be dire, food businesses have to ensure that they use reputable and experienced cold storage service providers to take care of their products. Companies that have a wide range of products typically have many different cold storage needs. If your products have to be stored at different temperature ranges, you may need more than one type of cold storage. Outsourcing your cold storage may be a viable solution if you don’t have cold storage facilities. 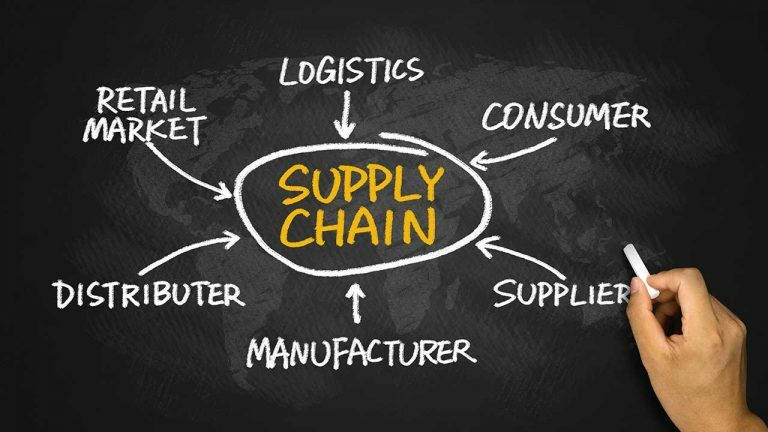 What is Cold Supply Chain? The succession of cold storage applications along the supply chain to maintain the desired temperature is often referred to as the cold chain. If the integrity of the cold chain is breached and the risk is unknown or not reported, it can result in foodborne illnesses. Developments in technology make it much easier and cost-effective to implement temperature monitoring and optimize stacking, which, in turn, make cold chain objectives more attainable. Your business needs a partner to deliver the freshest food in the safest possible manner. 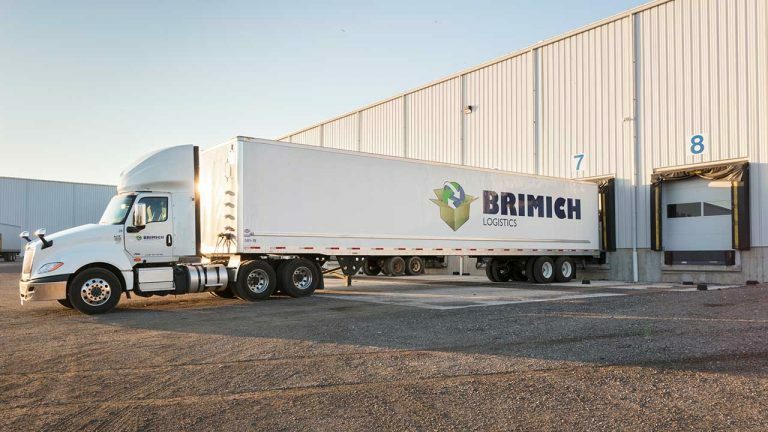 Brimich Logistics is ideally suited to provide your business with high-end cold storage solutions along with your supply chain. We have more than 200,000 square-feet of food-grade cold storage space available. All our facilities are Hazard analysis and critical control point (HACCP) compliant, and we have safe quality food (SQF) certification. Contact us today to discuss your cold storage and supply chain needs. Safe Quality Food (SQF) is a food safety management certification scheme based on HACCP that demonstrates compliance with all the processes and requirements as defined in the SQF code. What is the Importance of SQF in the Food Handling Industry? 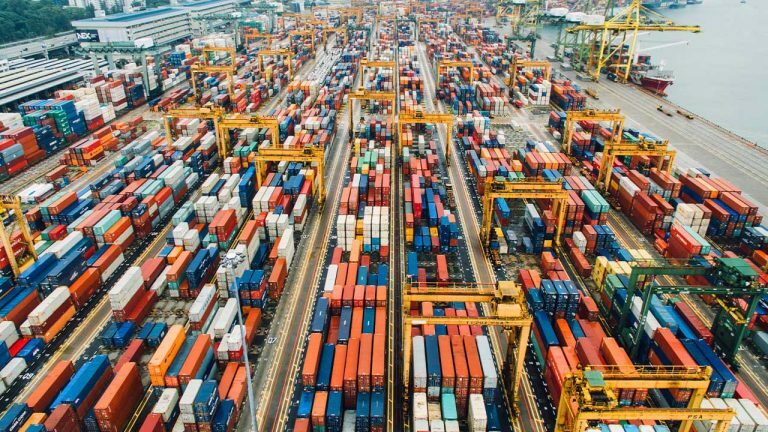 Ensuring food safety over international supply chains can be incredibly challenging, and organizations in the food industry depend on suppliers to provide them with food products and ingredients that are manufactured, stored, or shipped safely. What is the Relationship to GFSI? The Global Food Safety Initiative (GFSI) is a business-driven global food network that consists of food retailers and manufacturers around the world. The GFSI listed a set of requirements that are crucial to a food safety management system. Consequently, the GFSI recognizes any food safety stand that includes their set of requirements, including SQF. The result is that if a business is certified to SQF, the GFSI will recognize the certification. If one of your customers request that you become GFSI certified, an SQF certification will, therefore, be sufficient. Your business can also receive GFSI recognition if you have an FSSC 22000, BRC Issue 7, or International Food Standard Version 6 certification. What are the Different Levels of SQF? There are three levels of SQF Certification. The appropriate level for your business depends on the type of food business you have. This level was formerly known as SQF Level 1 and applies to low-risk products. This level consists of fundamental food safety controls and is not recognized by GFSI. SQF Quality Code is the highest SQF level and involves the extensive implementation of safety management systems that include the Food Safety Code. How Do I Get SQF Certified? Download the Code and Guidance documents from www.SQFI.com, and learn what is required for SQF certification. Select the appropriate SQF level for your business. Register at SQFI and designate your SQF Practitioner. Apply the required process and food safety fundamentals and train your in-house audit team. Keep records, perform internal audits, review performance, and make improvements where necessary. Schedule and undergo your inspections. Brimich Warehousing & Logistics’ food grade facilities are HACCP compliant, and SQF certified. Contact us today to discuss your needs. Wishing all our families, friends and amazing clients all the best this Holiday Season. Our warmest wishes go to you all for good fortune and continuing happiness into the New Year. 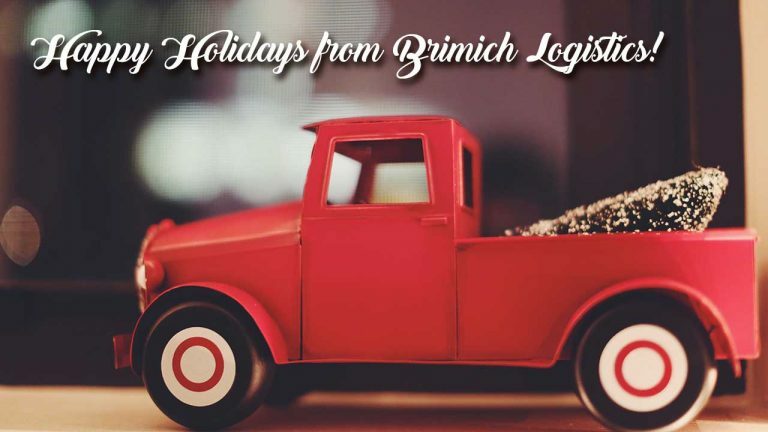 From all of us at Brimich Logistics, Happy Holidays to everyone! While they sometimes don’t even look like sails – some are shaped like spinning columns – they represent a cheap and reliable way to reduce emissions for an industry depending on notoriously dirty forms of fossil fuels. Denmark’s A.P. Moller-Maersk , the world’s biggest shipping company, is using its Maersk Pelican oil tanker to test Norsepower’s 30 metre (98 foot) deck-mounted spinning columns. 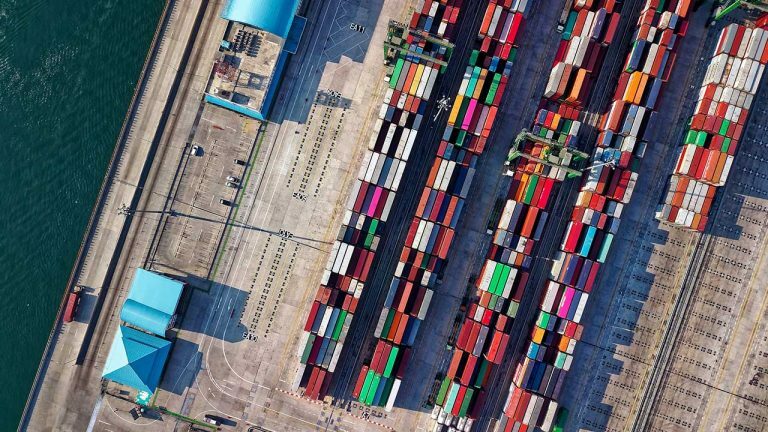 Maersk pledged this week to cut carbon emissions to zero by 2050, which will require developing commercially viable carbon neutral vessels by the end of next decade. Shipping, like aviation, isn’t covered by the Paris agreement because of the difficulty attributing their emissions to individual nations. 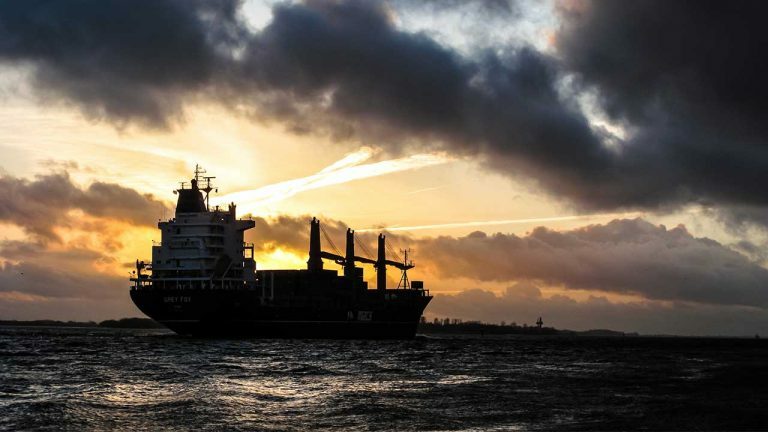 Resistant to change, the maritime shipping industry is facing up to the need to cut its use of cheap but dirty “bunker fuel” that powers the global fleet of 50,000 vessels – the backbone of world trade. A Dutch group, the Goodshipping Program, is trying biofuel, which is made from organic matter. It refuelled a container vessel in September with 22,000 litres of used cooking oil on behalf of five customers, in what it called a world first that cut carbon dioxide emissions by 40 tons. Wind power is also feasible, especially if vessels sail more slowly. “That is where the big challenge lies today,” said Jan Kjetil Paulsen, an advisor at the Bellona Foundation. Wind power looks to hold the most promise. The technology behind Norsepower’s rotor sails, also known as Flettner rotors, is based on the principle that airflow speeds up on one side of a spinning object and slows on the other craeting a force that can be harnessed. One big problem with rotors is their footprint. They get in the way of port cranes that load and unload cargo. To get around that, U.S. startup Magnuss has developed a retractable version involving two 50-foot (15-meter) steel cylinders that retract below deck. Ship owners are now “more desperate for new technology to reduce fuel consumption,” she said. Airseas, backed by plane maker Airbus, plans to deploy its parachute-like automated kite sails on ships ferrying fuselages from France to Alabama starting in 2020. The company predicts that the “Seawing” will reduce fuel use by 20 per cent on the 13-day journey.